In our final episode of Cam I Am, Cam answered the question of the day by teaching us how the Holy Spirit helps us grow faithfulness, gentleness, and self-control. 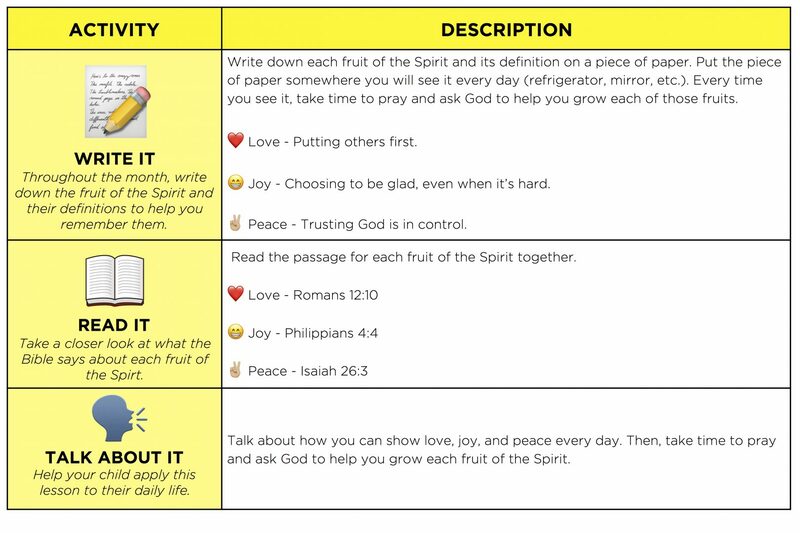 This week, read the passage for each fruit of the Spirit together as a family and talk about how you can show each fruit every day. 💬 Faithfulness – Doing what you say you will do. 🗣Gentleness- Being gentle with your attitude and actions. 💪🏼 Self-Control – Having control over how you respond. As you drive this week, talk about what it means to show gentleness. How does it affect the way you talk to others? Then, play this game: Say a few different phrases in a neutral tone. Then ask your kid to say the same phrases in a variety of different tones (an excited tone, a sad tone, an angry tone, a whiny tone, etc.) Point out how a negative tone communicates a different message with the same words. Encourage your kid to choose gentleness by using a gentle tone when speaking to others. 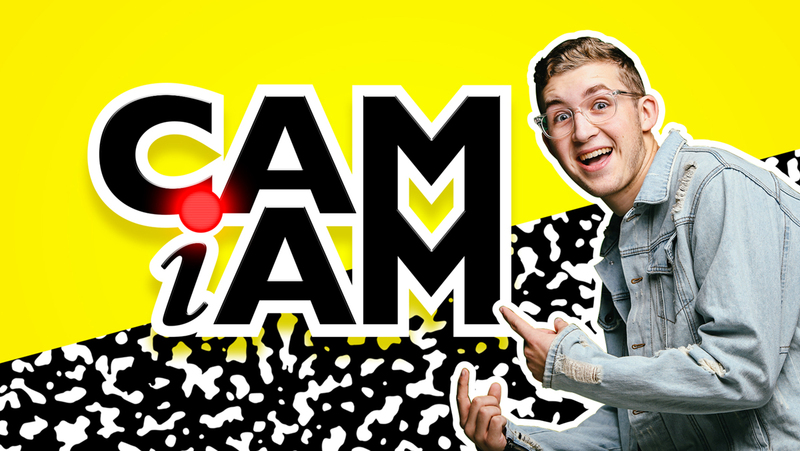 In this week’s episode of Cam I Am, Cam answered the question of the day by teaching us how the Holy Spirit helps us grow patience, kindness, and goodness. During eGroup time, we took a closer look at what the Bible says about patience, kindness, and goodness. When we allow the Holy Spirit to help us show patience, kindness, and goodness in our daily lives, it completely changes the way we interact with others. People will see the Holy Spirit working in us and want to spend more time with us when we wait patiently, treat others with kindness, and choose to do what is right and good! ⏰ Patience – Waiting with the right attitude. 😃 Kindness – Showing others how much God loves them. 👍🏼 Goodness – Doing the right thing no matter what. As your kid settles down for bed time this week, work together to brainstorm a list of random acts of kindness your family could initiate this week. Maybe your family could surprise someone at the store by paying for their groceries, or your kid could take a special treat to his or her teacher.